At the same time that the demand for groundwater for public water supply is rising in the UK, regulations providing greater protection for the environment are having an impact on the amount of water that can be abstracted for public supply. In addition, the quality of groundwater resources is on the whole deteriorating, while water quality standards have become stricter. On top of all of this there is the threat from a changing climate. With these competing demands, where will the balance lie in the future between water supply and the environment? Where the sums don't add up something has to give. This poses some difficult questions for the water industry and the environment regulators and requires planning for long-term solutions. Recent years have seen the introduction of two European Union Directives that have strengthened measures for the protection of water-dependent ecosystems: the Habitats Directive and the Water Framework Directive. The Habitats Directive aims to ensure biodiversity at designated 'Natura 2000' sites. Abstraction of water near these sites can continue only if it is shown that it does not adversely affect the site's ecological integrity. To meet the requirements of the Directive it is estimated that licensed abstractions in England and Wales may need to reduce by 250 million litres per day. Although this is only 1.5% of the overall public water supply this could cause some significant local difficulties. It has been estimated that the cost to the water industry of replacing these sources could be of the order of £1.5M per Ml/d lost. The Water Framework Directive aims to achieve 'good status' for all water bodies across the European Union. Good status is based on the ecological, chemical and physical aspects of the water bodies. Water bodies can fail to reach 'good status' when too much water is abstracted, thereby reducing water flows and impairing ecological quality. Currently over a quarter of groundwater bodies are at risk of failing to meet the requirements of the Directive. The introduction of the Water Act 2003 with its provisions for time-limited licences for abstracting water, provides a means to address the quantitative requirements of the two Directives. 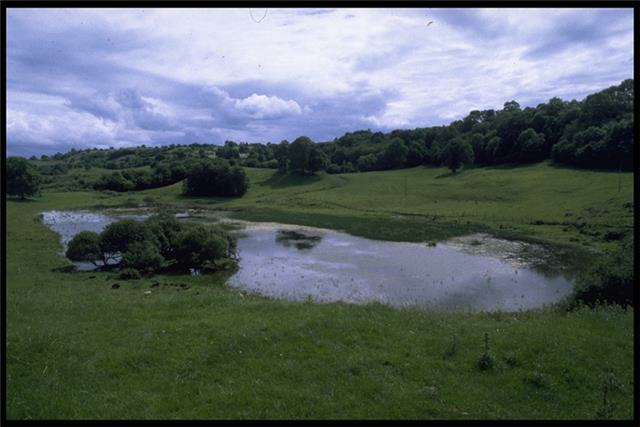 The Water Act, a response to the serious droughts of the mid-1990s, was introduced as part of a series of measures to strengthen catchment scale water resource planning in England & Wales. However, while measures aimed at protecting the environment are being introduced, the demand for water for domestic and commercial uses continues to grow. Household water consumption has increased by 70% over the past 30 years, mainly due to the greater use of high water-demand kitchen appliances. As the population grows the overall demand will also increase. The population is expected to have risen by 11% from 2001 to 2021 and the number of households by 14% over the same period. In addition, Government plans to meet the need for more houses are being focussed in the south east of the UK. This will have a significant impact on groundwater resources as this is an area of the country heavily reliant on groundwater. Meeting the growing demand for water is further constrained by deteriorating groundwater quality. In the past a major attraction of using groundwater was that it normally required little or no treatment, but this is no longer the case. High nitrate concentrations, primarily as a result of increased agricultural production since the 1940s, affect many groundwater supplies. The same is true for pesticides , widely used for weed control in agriculture, on roads and railways, and to control pests in agriculture and industry. Groundwater quality problems have also arisen from accidental spills or leaks from tanks and pipelines of petroleum products, phenols and chlorinated hydrocarbons. Contaminated land and urban pollution have given rise to a range of liquid and gaseous pollutants. The more soluble and mobile of these pollutants can infiltrate to the water table resulting in plumes of slowly moving contaminated groundwater emanating from many industrial sites. It is estimated that around 2450 Ml/d, almost 50% of the groundwater used for public supply, is affected by quality problems. It is thought that these groundwater quality problems have cost the UK over £750 million pounds since 1975. Perhaps the greatest threat to our water resources, and in turn water supply and the environment, may come from the changing climate. However, there is great uncertainty about what the effects on water resources will be from climate change. From a groundwater perspective it could cause a long term decline in aquifer storage, increased frequency and severity of droughts and floods as well as the mobilisation of pollutants due to seasonally high water tables and saline intrusion in coastal aquifers. Impacts of climate change not necessarily related to groundwater may have a knock-on affect on the resource: potential increases in population size and density will increase water supply demand and land use changes may impact groundwater recharge, for example due to the growth in the use of bio-energy crops. It is the uncertainty about what climate change will mean for our water resources which makes it particularly difficult for the water industry and the environment regulators to plan for the longer term. Further constraints are placed on our ability to plan by the lack of understanding of our groundwater systems even under current climatic conditions. The water industry is taking a twin-track approach to addressing the potential mismatch between demand and availability of water resources. This involves the more efficient use of existing water supplies while, where possible, developing new sources. Options for developing new groundwater sources are limited in areas of the country where water resources are currently scarce. The artificial recharging of aquifers during periods of surplus supply is one approach that has had some limited local success and is currently being investigated further by a number of water companies. As the cost of providing water from traditional sources increases, the economics of desalination and wastewater re-use become more attractive and these are currently being considered by a number of water companies. The problems associated with changing patterns of demand and deteriorating water quality are being addressed by the relocation of current supplies, in the case of water quality problems, to allow the blending of water to meet quality standards where treatment is not economic. This works locally but, as the debate around the development of a nationwide bulk water transfer network has highlighted, is not always economic on a larger scale and has potential serious environmental implications. Measures to address the upward trends in groundwater pollution are a requirement of European Union Directives, in particular nitrate pollution from diffuse sources such as those resulting from agriculture. The difficulty here is the timescale to reverse these trends. Even if the sources of these pollutants were to be removed completely the time that they take to move through aquifer systems such as the Chalk (the nation's major source of groundwater) would require decades before any impact could be seen at the point of abstraction. Not only does this have implications for water supply, it questions whether the UK is able to meet the current deadlines for the requirements of the Water Framework Directive. Within a twin-track approach the measures to improve water supply are complemented by measures to reduce the demand. This is being addressed through the raising of awareness of water resource issues, incentives for the use of more water-efficient appliances as well as compulsory measures such as the requirement for installation of water meters in new housing. Demand-side measures also include reduction of water mains leakage. Targets for the water companies are set by the Office of Water Services. From a groundwater perspective, leakage is not a loss of resource as the leaking water recharges the underlying aquifer but this is water that has been treated and transported at a cost to the consumer. The introduction of the EU Water Framework and Habitats Directives and the protection they give for the environment are broadly welcomed. However, their implications for water supply, in combination with the other constraints mentioned above, are significant. The cost of abstraction licence revocation necessary to meet the requirements of the Habitats Directive is due to be paid for through increased charges to water users (however, the means to fund changes associated with the WFD have yet to be decided). These increases in water charges could be significant and there is concern in the water industry that the compensation offered for licence revocation, even where alternative options to provide the required water are available, will not be sufficient. Clearly there are significant challenges for the water industry and the environment regulators in the future. Currently demand for water supply is being met, primarily through improvements in the efficiency of use of available resources and through demand-side interventions. However, the margin between supply capacity and demand in some parts of the country, particularly those reliant on groundwater, is insufficient, as evidenced by the impact in the summer of 2006 of two preceding poor winter recharge periods. Given this lack of water security the impact of climate change could be devastating. Although planning for water resources is undertaken on a 25-year timescale, the lack of understanding in how climate change will impact the water environment means uncertain and challenging times ahead. This article was produced subsequent to a one-day meeting held by the UK Groundwater Forum. The majority of presentations from the meeting can be viewed here.